It was built in the 16th century on a hill facing the Gulf. The fort has historical importance as it was used as a military tower during the battle in 1819 between the locals and the British forces. One can get views of other ruined fortifications lying at the south of the hill. 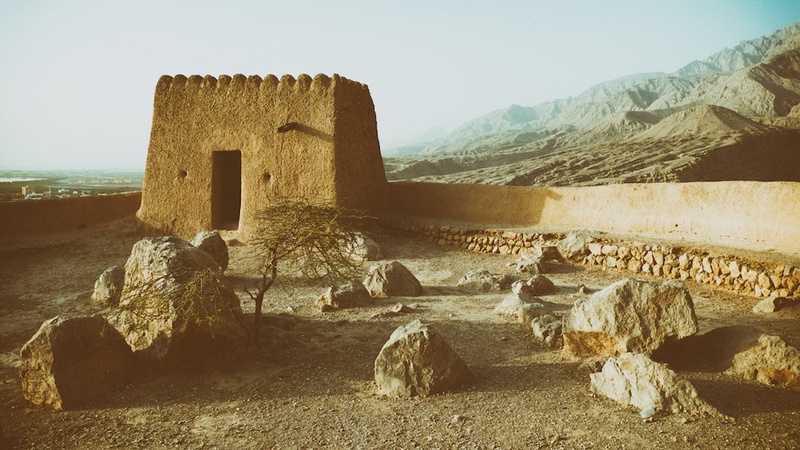 This is perhaps the only hilltop fort, well preserved and standing in UAE. Dhayah Fort is located to the north of the Al Rams town. This was the home for the ruling family till 1964 and later as a prison till 1984. Historic records also indicate that the fort may have been built on some much older structures during the nineteenth century. More than the rich history, it is the view from the top will be the best attraction. You could see the coastal villages of Ras Al Khaimah on one side and the majestic Hajjar mountain on the other side.